After winning five of their final six games, and crushing Cincinnati in a divisional playoff game, the Chargers are flying high coming in to 2014. 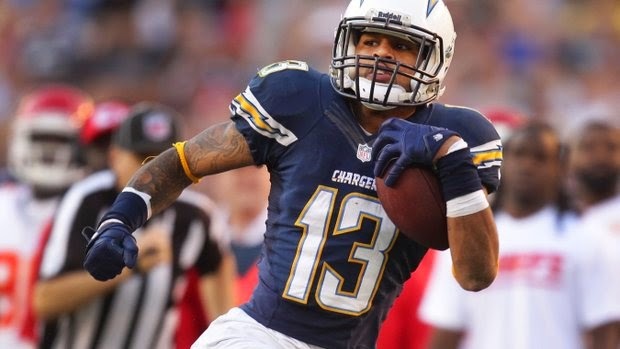 The club did well adding value in Donald Brown and rookie Jason Verrett during the offseason, and look to build upon their 2013 run. We expect the offense to be strong again with the return of Malcolm Floyd from injury and the emergence of Ladarius Green at TE. On defense we see some weaknesses in the defensive backfield, but overall improvement in 2014. We expect the Chargers to put together another impressive season and compete for a playoff spot. Philip Rivers has plenty of weapons at all of the skill positions, but with so many options, it's tough for fantasy owners to get a true stud out of this team outside of Keenan Allen. We recommend grabbing Chargers throughout your fantasy draft at value spots, but do not reach for them as the TDs in this offense will be tough to gauge. The San Diego defense held it's own in 2013, ranking 11th in the NFL in points allowed, and 23rd in yards allowed. The addition of Jason Verrett should help the passing game, but this squad will continue to allow yards in an attempt to make big plays. We see similar production to last year as a DST. As for IDP options, Butler, Te'o, Weddle, and Verrett all should be viable assets.